Psychoanalyst and Child and Adolescent Psychotherapist, Dr. Harriet Calvert has more than 30 years experience, offering private psychoanalytic treatment to adults, children, adolescents, couples, and families, including Parent-Infant Psychotherapy. Dr. Calvert is also a Chartered Psychologist, an Associate Fellow of the British Psychological Society and has a PhD. from the London School of Economics. Dr Calvert has many years of experience as a Child and Adolescent Psychotherapist in the NHS. She has worked, for both the Hillingdon Child and Adolescent Mental Health Service and for Berkshire NHS Foundation Trust and she has also worked as Clinical Director for OXPIP (Oxford Parent Infant Project). Dr. Calvert has been teaching, training and consulting both in the UK and abroad. 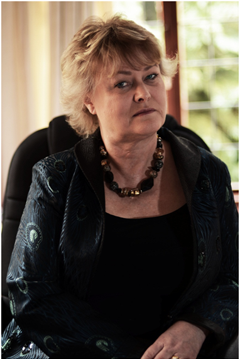 She has taught courses in the Theory and Practice of Psychoanalysis and Psychoanalytic Application to students ranging from beginners to highly trained professionals in the UK, Sri Lanka and in Hong Kong. Among other assignments she has offered consultation to mental health teams involved in caring for trauma victims following well publicized school shootings in Europe. Dr. Calvert has a special interest in cross-cultural issues, trauma and helping children in troubled families and has published papers on these subjects in international journals the most recent article was published in the International Journal of Migration, Health and Social Care 2011. She offers therapy and consultation in English, Finnish and Swedish. She also offers Consultation and Supervision using Skype. © 2019 Dr. Harriet Calvert.